Take Advantage of Your Junior Golfer’s Unique Path! What do you do if your junior golfer is not a Jordan Spieth or a Lexi Thompson? Your athlete has his/her own unique path for their pursuit of the game. 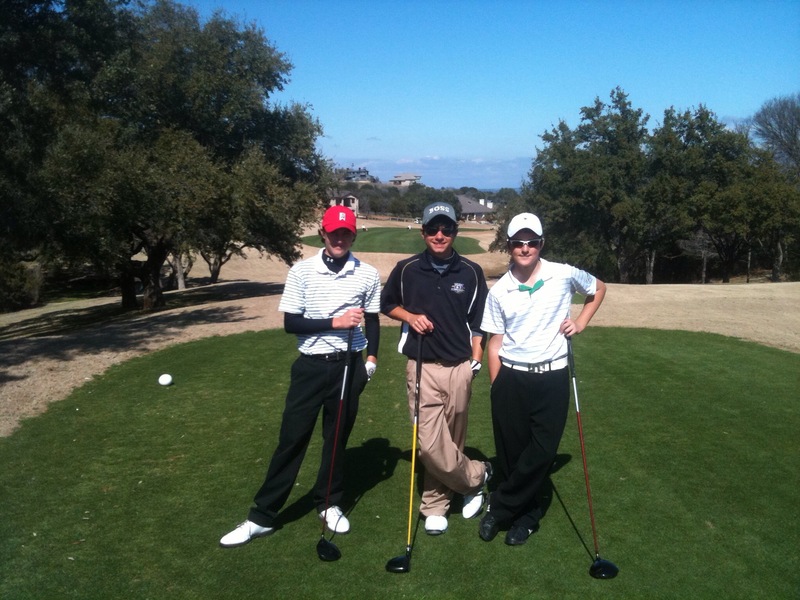 It is likely that your child is in the 80-85% of golfers whose persistence and diligence can pay off in the long run. Statistics show that 80-85% of pro golfers follow the path of hard workers who have diligently focused on improving their game to be able to compete at the highest level. Those competitors who have exhibited amazing results throughout their careers comprise the remaining 15-20% we refer to as phenoms. Generally speaking, a phenom is someone who consistently plays above or at a higher level than everyone else, their age, in their sport. If your child is a hard worker be aware that more reps, more positive reinforcement, more instruction, just more basics are needed to keep your junior golfer on the path of constant advancement. Our college golfer Sam II! Is a hard worker. He has won some golf tournaments and a solid goal for him during his junior golf years was a Top 10 finish. S3, as we call him, has been on a path of steady improvement since he began playing golf at age 5. A half-step forward at a time has been his mantra and his constant lowering of his scores from one year to the next gives cause for great optimism. Next time we will address some potholes, curves, and bumps in the road associated with each young golfer’s individual path. 1. Right now there are great buys on new and used clubs. The 2015 models are hitting the stores and last year’s clubs have to be sold. Two websites we have purchased from and can recommend are http://www.tgw.com and http://www.3balls.com. Today on these sites there are super buys on drivers, irons and wedges ranging from 30-70% discounts. I encourage you to be open-minded about used clubs…some are very lightly used and are amazingly inexpensive. As your junior golfer grows, it may be that 2 years is about the max you get out of a set of clubs, so please be prudent with your golf club expense. 2. Get a checkup for club fit. Go to a PGA Professional and have your kiddo evaluated for their current set of clubs. Those clubs can get too short in just a few months, so keeping up with club length, swing weight, glove size…all things that can easily be overlooked when the season is in full blown active mode, are some items that we always looked at at least twice a year. Oh, and shoe size! Wow, it seemed like we were buying golf shoes every three months for a while! Please see my previous post about current great buys on golf shoes. 3. Have fun hitting the newest demo clubs at the major golf retail stores like Golf Galaxy, Edwin Watts, Golfsmith, etc. My son, Sam III, and his friends will go to Golfsmith and just relax and try out a bunch of the latest and greatest clubs and may end up with an idea of what they will want for their next set of clubs. This is a no-pressure, fun thing and please just let the clock run. Don't put a time limit on it. Your youngster will let you know when they have had enough. And yes, they will say Dad/Mom that new such-and-such driver REALLY felt good! Can you buy it for me, pleeeeeease! Well, how you deal with that pressure is up to you☺️ A suggestion, work with your junior golfer on creating a golf wish list on Amazon.com. The newest models of all golf clubs, shoes and everything else are here or will be at retailers very soon. This means that some bargains are available and will be, depending on exactly what you need…for the next few months. Closeouts of last year’s models of shoes, rain gear and clubs have some great prices! We rarely buy any new golf clubs for our son when the last year’s models are at least 30% off and the technology is certainly current enough. So this is a great time to upgrade or modernize your young golfer’s clothes, shoes , clubs or training aides. For example, this website, http://www.tgw.com, has closeouts of more than 200 models of golf shoes. Our son, Sam III (S3), bought 2 pairs of Footjoy Contour Casual Spikeless Golf Shoes for $49.99 each…2 pair for less than the regular retail price of 1 pair! There are a bunch of super deals like this…just search different websites. Golf shoes, or at least the shoes your kiddo wears to play golf are the second-most important item, after the clubs. We encourage you to avoid buying cheap golf shoes. Your youngster’s feet must have proper fit and support, period. This is the time to buy a name-brand golf shoe at a killer price. If your budget is blown after your Christmas spending, look at the spikeless shoes on sale for less than $50.00. They are cheaper and better than tennis shoes, which are also spikeless to a degree, but the golf shoes will also have a 1 or 2-year waterproof guarantee. Keep in mind that spikeless shoes place a premium on balance and thus provide instant feedback if your junior golfer likes to swing out of his/her socks! Being way out of position or even falling to the ground can occur…so be advised. They are however, notoriously super-comfortable and look good enough to be worn as a casual shoe all around town. From time-to-time, we will mention our youngest son, Sam III, who is now playing D-II college golf at Texas A & M International in Laredo, Texas. He is our learning laboratory where we have gone and are still going through most of the scenarios we reference in this column. This journey has been one of the most exciting and enjoyable experiences any parents could have and we love sharing it with you! Now work on that positive mental attitude! Be positive, Happy New Year, Sam.